Trust is an important part of any relationship. It represents your belief in someone’s good sense, ability or honesty. As your daughter gets older and starts becoming more independent, it can be difficult to find the balance between a teenager’s need for independence and privacy, and your need to know what’s happening to keep them safe. Find out how you can stay involved in your child’s life through building a trusting relationship. Here are some tips from parents reach.com, that could help parents understand why building trust is so important; work on how to avoid your child breaking your trust; and learn how to develop mutual trust with her. However, as children grow up and become more independent, they start to notice and question more. It’s around this time that your child may notice whether you do what you say you will do, which is a key factor in building trust. As a parent, you can’t demand trust. It’s a gradual process that requires mutual commitment and it will inevitably strengthen your relationship. It will also set your child up to develop healthy relationships in the future. It’s worth noting that teenagers are going through an intensely private time in their lives. Personal space becomes very important to them, so the desire for privacy doesn’t always mean untrustworthy activity is taking place. It’s important to keep that in mind. Your teenager feeling open and comfortable to talk to you about difficult things – Parents always dream of having a close relationship with their daughter, where she feels free and comfortable enough to share important aspects of her life with them. Your teenager demonstrating positive, trustworthy behaviours in other aspects of their life, setting them up for positive relationships into adulthood. – Every parent looks forward to their daughter evolving into a responsible and balanced adult. Building a relationship with your teenager that goes beyond a parent-child disciplinary relationship, and strengthening your bond for years to come. – You want to be her confidant, the first person she thinks about when she needs to share an important aspect of her life with someone. Why Your Teenage Daughter Perceives You as a Scary Mom. You may be wondering who a scary mom is, and what she looks like; I have wondered the same thing too, that was until I heard a friend say her mom is the scariest person she had ever met. That statement felt like a blow to my chin as I imagined how it felt to have a scary mom. Few hours with Lucy made me deduce the theory that more smart teenage girls are made out of scary moms since they have to devise ways to navigate through their fears. Some of the most priceless gifts every teenage girl seeks from parents especially their mothers, is freedom and trust. Trusting your teenage daughters is a great way to let them know you understand that they are grown-up and are entitled to a mind of their own. The first time I heard this Phrase, “Love to destruction” the only picture that came to my mind was the relationship some mothers have with their teens. Sometimes mothers are left in the dilemma of raising their teenage children with the mirror of their own past childhood experiences and these experiences suddenly become the basis for the rules and regulations that guide these children. These rules often create the first gap experienced by parents and their teenagers. This, therefore, becomes a destructive love since it is fiercely guarded by fears. No teenager wants to relate with a scary mom and as a result, they always watch out for the alarm that indicates you have become one. Since every mother wants to be her daughter’s heroine and best friend then she must watch out for those red signals that can portray her as a scary mom as well as keep their daughters away from them forever. 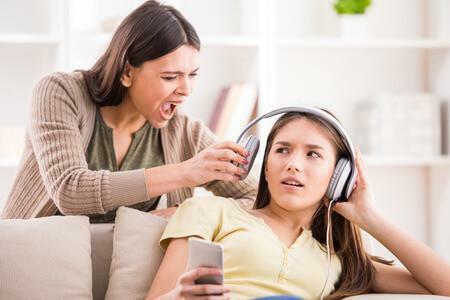 Trying to be a Teen: Often times mothers like to act like teens hoping that this will help them get closer to their teenage daughters, but they often forget that opposites attract. Your teen daughters expect you to be the parent and not trying to act like there is a competition to win their hearts. Trying to dress like them, involve in their private discussions with friends or even use slangs that are peculiar to their peers can sometimes become annoying. It is definitely not abnormal to admire their lifestyle but trying to fit into their shoes makes it tight, thereby portraying you as a stalker. Teenage daughters feel embarrassed when mothers try to ask too many questions when they are having discussions with their friends. The moment you start pushing hard to become a teen, you stop being their loving mom and instead become a scary mom. Playing the Guilt Card: Scary mothers always love to prove to their daughters that they are wrong. They derive so much pleasure in seeing their teenage daughters depressed over a wrong decision they have taken because they think it might help them turn a new leaf, so they do their best to give the young girl more than a thousand reasons why she should be ashamed for taking that wrong step. 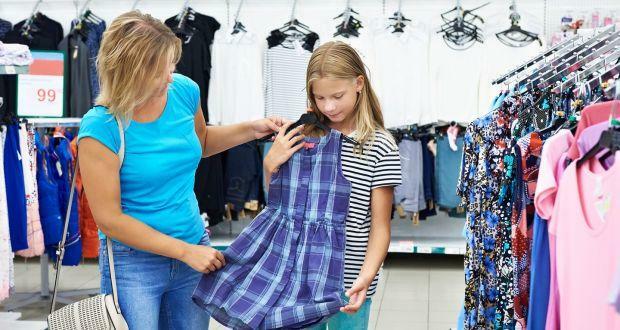 As a mother playing the guilt card can keep your daughter away from you thereby, leaving her in a position where she always wants to clean up her mess before approaching you. 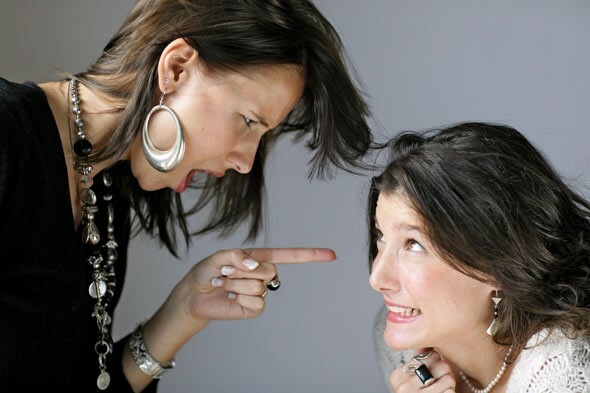 Attempting to be the middle woman: Mothers must realize that teenage girls are not requesting for a peacemaker when they tell their moms about their disagreements with friends. Often times, young girls become very emotional over the disagreements they have with their peers and sharing it with someone especially their mothers become the best way to ease the hurt. It is therefore advisable that, mothers become comfortable to just have a girl talk with their daughters without trying to act as advocates for them. Mums must learn that most times all the young girl needs is that you lend her your ears and advise; then call it a day. Let them settle their disputes themselves and quit attempting to be the middle woman. Displaying the skills of a Secret Agent: Every great relationship thrives in respecting the privacy of partners involved. Always know that your teenage daughter is entitled to her secrets so let her be. Of course, it is very necessary to offer advice but being a nosey mum can be so annoying to teenage daughters, so watch it and know when to draw the line. Sneaking on her calls, chats, and messages can be very uncomfortable and pestering. It proves to them that you don’t trust their sanity and behavior. Rather than doing this build a strong mutual trust amongst both party and give her the strong reason to let you into her life. Always remember you are her mom and not a secret agent or a spy. When you begin to display the skills of a secret agent, your little teenage daughter will definitely perceive you as a scary mom. Misunderstanding her self-conscious Acts: Looking back at my teen days, I can still recall how displeased I felt whenever my mom laughed at my carriage while am out with my friends. She will always say to me “Cece why do you have to cross your legs that way?” Scary Moms never accept the fact that their teenage daughters just have to be self-conscious around their friends. Whenever they in the midst of their peers expect them to talk differently, laugh differently, eat differently, walk differently and even respond differently to you. A popular saying goes that when you are in Rome, you behave like the Romans so let them behave like teenagers when they are with tens. A scary mom is never comfortable with seeing different sides of her little thirteen-year-old damsel. You just have to admit the fact that it’s normal whenever they are in the midst of peers. Interpreting their self-conscious acts as pretense, timidity, or even Low self-esteem can be very scary. Refusing a conversation and always seeking a lecture: Never forget that one of the major differences between a conversation and a lecture is that the former involves a dialogue while the latter involves a monologue. It is true that mothers are very knowledgeable. They have acquired countless theoretical and practical knowledge, and of course, it is their uttermost desire is to pass down this knowledge to their children especially teenage girls but this must be done with discretion. Teenage daughters especially learn more from conversations, not lectures. Remember no matter how knowledgeable you are as a mother, times and seasons have changed. Your examples thoughts and illustrations might not completely fit into your teen daughter’s real-life experiences. Learn to rather have a conversation instead of a lecture as this will help your little teenage daughter open up more to you. Use less of the word “Listen to me” and use the word “let’s see it this way”, this, of course, involves her in the thinking process and helps her feel more relevant. Remember young ladies tend to read deeper meaning into your words than the literal word said. Scary Moms hardly involve in conversations, they rather give a lecture and remember even your teenage daughter has a voice and needs her questions to be answered. 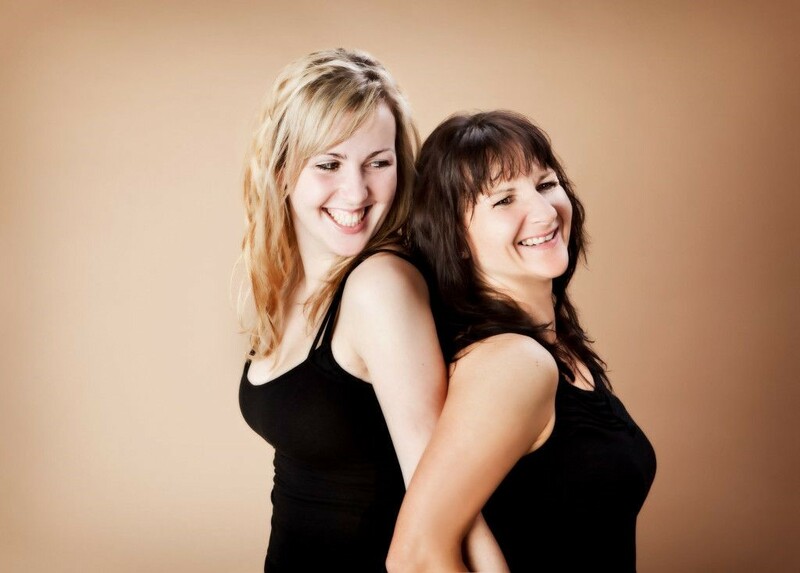 Teenage daughters are fun to have but it’s a more interesting journey if mothers make themselves available as they should, consciously noting the boundaries and making sure they do not cross the lines as well.